Benitoites of excellent gem quality and transparency rarely exceed two carats, and few that do have such good color saturation combined with the gemminess. Most stones tend to have one or the other. This is an impressive brilliant oval that is very bright and has good clarity as well. It is big and impressive. Rough-and-cut sets make fabulous displays and this would fit into such a set, or it is of a hardness that makes it also perfectly wearable for jewelry. A classic rarity that will be difficult to replace as the deposit is unique in the world, and is now more or less stripmined and depleted. From the collection of former mine owner Bill Forrest. 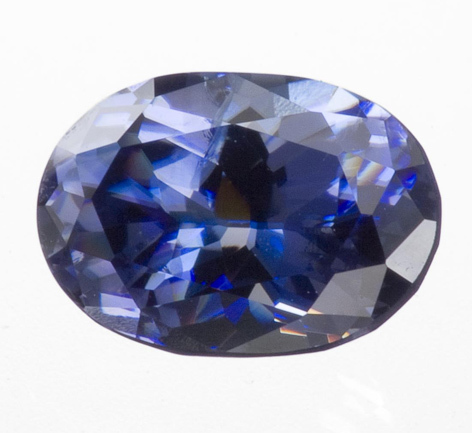 There have been quotes on pieces of this quality and size at $10,000 per carat retail.